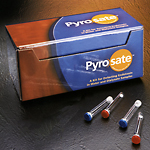 Pyrosate provides quicker results at a lower cost than current methods. Water systems should be tested weekly until a pattern of consistent compliance is demonstrated. It is recommended that the system be tested monthly thereafter. Testing points should include the first and last outlets of the water loop as well as the endpoints supplying the reprocessing and bicarb mixing areas. Dialysate from machines should be tested monthly. Clinics should test at least 2 machines a month so that each machine is tested at least once per year. 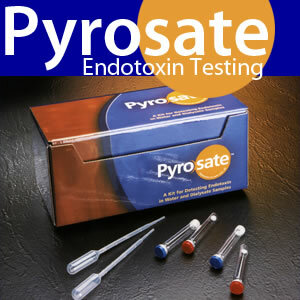 The dialysate to be tested should be drawn from the dialysate port of the dialyzer or a sampling port from which samples can be collected using a pyrogen-free container. 1. Preheat incubator (dry or wet bath) to 37+- 1ºC. Verify the temperature by using a thermometer or digital display. 2. Collect the sample in a pyrogen-free container. 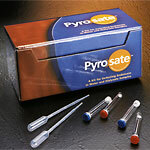 The silicone lubricant in syringes is known to inhibit the assay / test if the sample is held too long. Be careful not to contaminate sample with fingers, instruments, sneezing, etc. 3. Use a permanent marker to label Sample (SPL) and Positive Product Control (PPC) tubes with test location or other sample identification. 4. 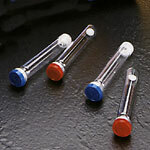 Remove and discard stoppers of one SPL (blue capped tube) and one PPC (red capped tube). Do not touch the tube rims! 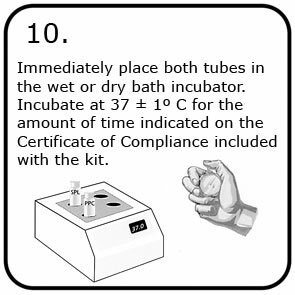 NOTE: Incubation times may not be the same for every kit. Check the Certificate of compliance that was included with the kit you are using. 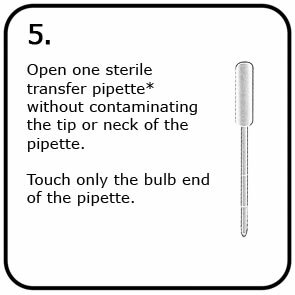 READ: When time is up, immediately and carefully remove the tubes one by one from the incubator. 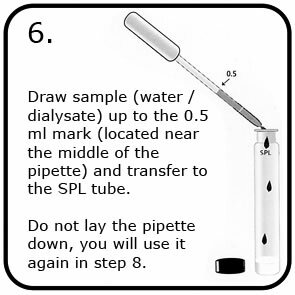 Gently invert the tubes until the absence of a solid gel-clot is confirmed or a 180 degree inversion is reached. 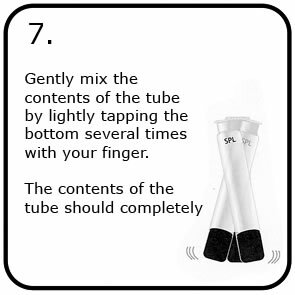 Do not shake the tubes when reading the test. IF a solid clot has formed the result is positive (+). If no clot has formed, i.e. mixture remains liquid or the clot breaks, the result is negative(-). 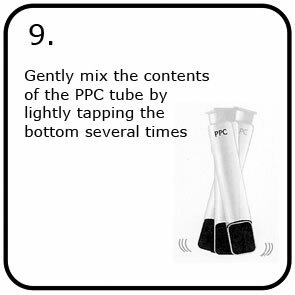 PPC: PPC (Positive Product Control) tube. This tube SHOULD clot. If it does not, you have an invalid test. Repeat the test. 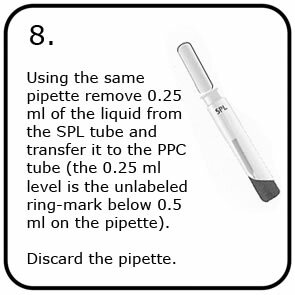 A failure of the PPC tube to clot indicates either inhibition of the assay by the sample or improper performance of the assay. SPL: SPL (Sample) tube. This tube SHOULD NOT clot. Absence of a clot means you have less than 1.0 EU/ml of endotoxin in the sample. 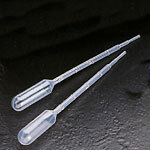 If the SPL tube clots, your sample has endotoxin at or greater than 1.0 EU/ml. Incubator You will need a 120 volt, dry bath incubator with digital control plus a block to hold 12mm tubes.